Last June this blog reported on the Opinion of Advocate General (AG) Szpunar in Louboutin, C-163/16. This is a reference for a preliminary ruling from The Netherlands (District Court of The Hague) concerning the absolute grounds for refusal of registration of sign that consist exclusively of "the shape which gives substantial value to the goods". Made under the former Trade Mark Directive (Article 3(1)(e)(iii) thereof) [now the language of this absolute ground for refusal has changed, so to include "another characteristic": see Article 4(1)(e)(iii) of the current Trade Mark Directive] this reference has arisen in the context of litigation over the (in)famous Louboutin red sole colour mark, including the validity of such trade mark. The trade mark, registered as a Benelux mark in Class 25 of the Nice Classification for shoes (other than orthopaedic ones), consists "of the colour red (Pantone 18 1663TP) applied to the sole of a shoe as shown (the contour of the shoe is not part of the trade mark but is intended to show the positioning of the mark)". 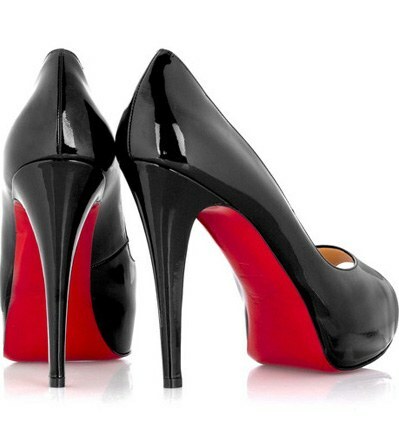 In his June Opinion AG Szpunar provided an interesting response, in the sense that he suggested that the Louboutin mark may be indeed a shape (not just a colour positioned on a particular part of the goods in question) or another characteristic (in this sense, the AG held the view that the language of the new directive has merely clarified the law as it was also under the 2008 directive). However, towards the end of his Opinion, he suggested that it is not the shape (colour applied to the sole) that gives substantial value to the goods, but it is rather the distinctive character of the trade mark and its reputation that make the goods in question (shoes) attractive. What happened after the AG Opinion was quite surprising. In fact, instead of preparing to issuing a judgment, the Chamber of the Court of Justice of the European Union (CJEU) to which the case had been originally assigned considered that the case raises questions of principle involving EU trade mark law and decided to reassign the case to the Grand Chamber [while ordinary CJEU chambers are composed of 3 or 5 judges, the Grand Chamber is composed of 13 judges]. As a result, the oral part of the procedure was reopened and the parties attended a new hearing. AG Szpunar was asked to deliver a new Opinion in the case, which he did this morning. “Advocate General Maciej Szpunar maintains his view that the prohibition set out in the trade mark directive is capable of applying to a sign combining colour and shape. Accordingly, he proposes that the Court’s answer should be that the grounds on which registration of a mark may be refused or declared invalid are capable of being applied to a sign consisting of the shape of the goods, and seeking protection for a certain colour. In his first Opinion, the Advocate General had stated that the mark at issue had to be equated with one consisting of the shape of the goods, and seeking protection for a colour in relation to that shape, rather than one consisting of a colour per se. He maintains that point of view, given that this is not a wholly abstract shape, or one of negligible importance, but always the shape of a sole. Moreover, he expresses doubts as to whether the colour red can perform the essential function of a trade mark, that of identifying its proprietor, when that colour is used out of context, that is to say, separately from the shape of a sole. Nevertheless, the Advocate General points out, as he had done in his first Opinion, that the classification of the mark at issue is a factual assessment to be made by the referring court. 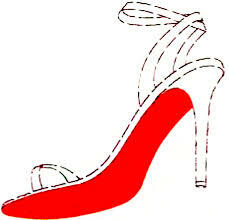 The same applies to the question as to whether the red colour of the sole gives substantial value to the goods. In his view, the position of the Netherlands court is clear on that point, since it is proceeding from the premise that that question must be answered in the affirmative. The Advocate General also considers that the introduction of the concept of a ‘position’ mark into EU law3 is not liable to qualify his considerations concerning the applicability of the ground for refusal or invalidity (laid down in the EU trade mark directive) to a sign such as that at issue. Similarly, the Advocate General has examined the scope of the new trade mark directive, the deadline for transposition of which is 14 January 2019. In that regard, he takes the view that the reasons for the amendments introduced by the new directive (strengthening the trade mark proprietor’s monopoly and restricting third party rights) cannot easily be applied to the grounds for refusal or invalidity. The Advocate General also takes the view that the reference to the public’s perception as a factor which, among others, determines the characteristics giving substantial value to the goods, argues in favour of the ground for refusal or invalidity applying to signs consisting of the shape of the goods and seeking protection for a colour in relation to that shape. In practice, the deciding factor in relation to the public’s perception is not the distinction between shape, colour or position marks, but rather the identification of the origin of the goods on the basis of the overall impression created by a sign. With regard to the classification of the mark, the Advocate General points out that it is to be assessed whether the registration of that sign would not run counter to the general interest in not unduly restricting the availability of the characteristics represented by that sign for other operators offering for sale goods or services of the same type. A more detailed analysis will be provided after the text of the Opinion has become available: stay tuned!